Buy Print book or ebook from Amazon.com here! Buy nook ebook from Barnes and Noble here! Before Santa Clara County became Silicon Valley and computer technology changed the landscape of our everyday life, Katherine worked at the heart of an innovative IBM laboratory writing computer programs to bring new ideas to realization. 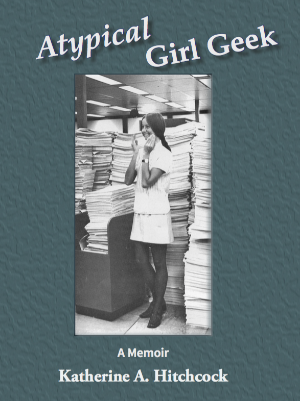 Her memoir is a lively account of what it was like for a woman to be a part of this dynamic industry during the last half of the twentieth century. Starting in 1966, when computers were isolated in large air-conditioned rooms, she developed programs that first demonstrated the value of online access to the library card catalog, to 1999 when she wrote programs to download music to PCs. Along the way we learn of her personal growth while professionally she writes code to drive high-speed laser printers, experimental printers and desktop printers, all the while influencing IBM with her concern for the environment.